Office 365 gives your staff the freedom to work on documents anywhere, anytime and on any device. Work in the cloud in real time, with instant backups and total peace of mind. Both large and small businesses often get left behind when it comes to installing new software. It can be a complex task requiring many hours of manpower and attention to detail to keep things up-to-date and running smoothly. With Nortec, you won’t have to worry about a thing. Why a Microsoft Office 365 Solution ? An Office 365 Solution will allow you to work from anywhere and get automatically updated email, calendar, and contacts on most of the devices you use. This can include, ipads, android smart phones, iphones and android tablets. Microsoft Office 365 helps companies to reduce their IT costs. It is a cloud productivity solution that simplifies IT management and provides access to familiar Office tools. With Office 365, any company, regardless of size, can take advantage of the best productivity applications so that employees can collaborate more effectively and work smarter. What does a Microsoft Office 365 include ? Office Web Apps – open Word, Excel, PowerPoint, OneNote, and PDF documents in your web browser. 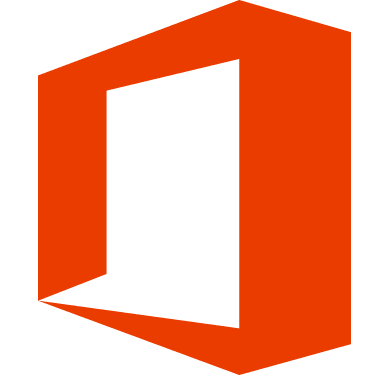 Office Pro Plus – This is a licencing to use Office programs locally on your PC. It includes the programs below ..
What does our Microsoft Office 365 cover ? Set up an evaluation of Office 365 for 30 days so that you can see how it will work. We can assist you with selecting the license that will best suit your business requirements. Project Management of your migration. We help you decided whether to do a phased or cut over migration. We can help you do the migration or even do it for you. We can upgrade your workstations to Office 365 either onsite or remotely. We can train your staff on how to use Office 365. We provide ongoing support – user creation and licencing. We can support you with any PC related issues. Also as both a Telstra Wholesale and AAPT partner we can provide the connections required for Office 365 – whether they be fibre, symmetrical DSL or 3G/4G connections. We can also provide you the devices on a Telstra mobile plan. While it is possible for your IT team to migrate to Office 365, the learning-phase, planning and logistics of this migration can be a substantial drain on resources whom often want to move past the learning and adapting phase…and immediately realizing the benefits of the Office 365 cloud platform. We help companies like yours achieve your specific business goals through Microsoft Office 365, assessing your existing technology and developing solutions that will enable you to grow your business profitably and reach your goals. Leverage our expertise and reap the benefits of our Office 365 Solutions for your firm. Increase your productivity and efficiency while reducing costs and mitigating risk. Contact us today to discuss the many benefits we can provide your business.